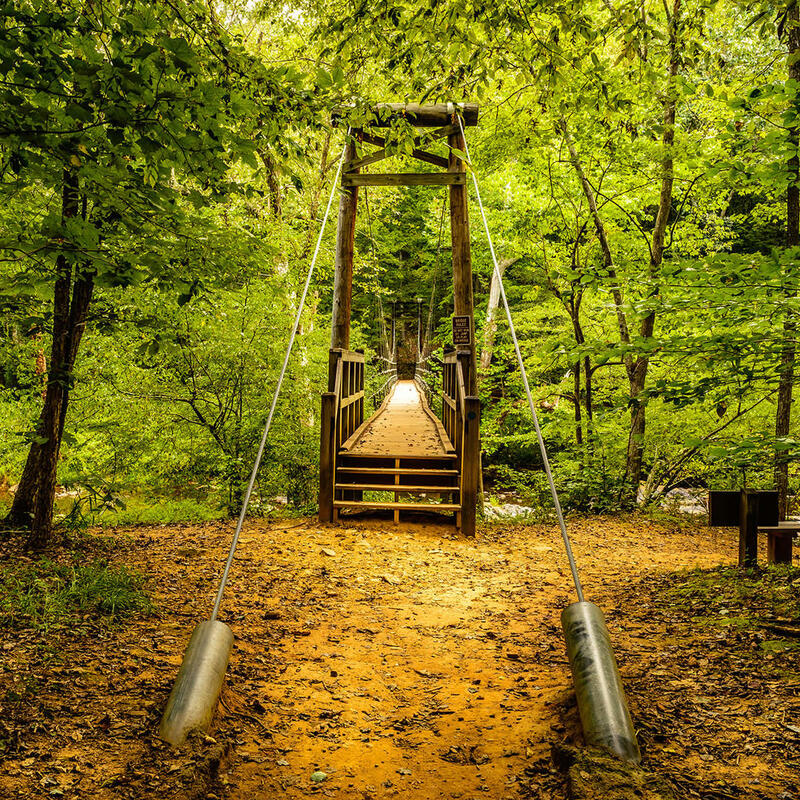 This cable suspension bridge is nestled in the woods of the Cox Mountains. The footbridge can be accessed via the Cox Mountain Trail. It crosses the Eno River and is a very popular area in the summer. People come here in droves to camp and to wade in the shallow waters of the river. Before the area was settled by Europeans, the Eno, Shakori, and Occoneechee tribes lived along the river.